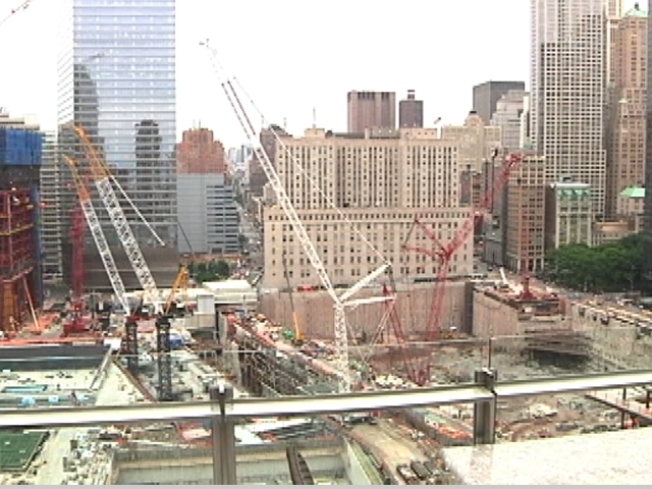 Tourists now have a new vantage point from which to gawk at Ground Zero: the World Center Hotel. Located at 144 Washington St., the hotel opened today and touts “unfettered views of the rising Freedom Tower and National 9/11 Memorial & Museum” on its website. It joins the Hilton Millenium Hotel on Church Street as renting rooms with a view -- of the former World Trade Center site. "We reference our location on our Web site and in our marketing because our location is an inextricable part of the World Center Hotel's identity," said Cheryl Palmer, corporate vice president of World Center, the company that owns the hotel. "The World Center Hotel, being across from both the World Financial Center and the rising World Trade Center, was designed primarily for business travelers, but leisure travelers also appreciate our downtown location. Deena Mendlowitz, an improv performer from Cleveland who was in the area, said seeing the rebuilding from the hotel is "phenomenal." A new hotel has opened in Lower Manhattan with beautiful rooms, a roof terrace and a view of Ground Zero. "It's more hopeful now," said Mendlowitz. "It seems like they're reaching the next phase, which is great." And the World Center is part of the area's revitalization, as it is the first hotel to open up there in 10 years. "With the opening of World Center Hotel, we are proud to be among the new businesses that are opening their doors to Lower Manhattan visitors," said Palmer. 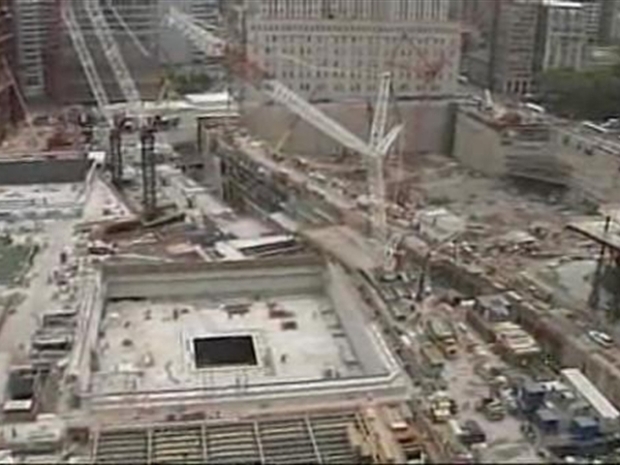 While Freedom Tower isn’t expected to be finished until 2013 and the entire four-skyscraper complex will take even longer to complete, the hotel prominently displays the future lower Manhattan skyline that visitors will be able to enjoy from its rooms. Its proximity to the National Sept. 11 Memorial & Museum is listed a selling point on the homepage. "We recognize some guests may feel emotional about the proximity to the World Trade Center, and choose not to stay at our hotel," said Palmer. "Others are encouraged that, after so many years, the site is finally being transformed into a fitting memorial, and they want to see the progress being made there". The eco-friendly hotel features 169 rooms, ranging from compact singles to corporate apartments for extended stays. Rooms start at about $199 a night, a decent value for the location. Other conveniences for business travelers include, alarm clocks with iPod docking stations, LCD TVs, desks with ergonomic chairs and bedside touch-screen temperature controls. Its restaurant, the World Terrace Club on the 20th floor, has an outdoor dining space and will open later this month. For now, guests will have to order round-the-clock from a host of area restaurants.